We regularly carry out moth control in Fife, Perth and Kinross. 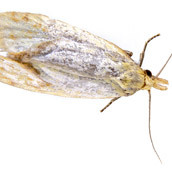 Pest moths often cause issues in the food and textile industries because they contaminate many types of stored food products or damage natural fibres, especially wool. They will also damage leather, silk and cotton, amongst other materials. At Active Pet Solutions, we have 15 years’ experience and training in pest control, plus the knowledge and equipment to deal with moth infestations, quickly, safety and effectively. It is the larvae (maggots) of moths that cause the damage. In domestic situations they damage clothes, linen and in particular woollen carpets. As members of the Fife Trusted Trader scheme and Perth and Kinross Better Business Partnership, our working practices, pest control qualifications, customer service and integrity have been assessed and checked by trading standards officials, so when you contact Active Pest Solutions you know you’ll receive moth control that you can trust – at very competitive prices. Active Pest Solutions carried out moth control in Dunfermline when a house owner noted bare patches in her expensive living room carpet. The moth larvae use the protein (Keratin) from natural fibres to stimulate their development. Moth control in Glenrothes was required after a customer suddenly became aware of the unusual number of moths in her kitchen. We gave her advice to help prevent moth infestations in her home in future and dealt with her current moth problem using approved moth control measures. Similarly, a restaurant owner in Cupar became concerned when moths were noted flying out of his dry food storage area. After identifying the specific breeding areas of the warehouse moths, we were able to solve the restaurant’s moth problem quickly and effectively. Our many years of experience of dealing with moths in both domestic and commercial properties means we know the pack drill when it comes to moth control! Identify where the moth infestation originates. Check darkened cupboards or gaps under heavy furniture as well as under skirting and carpet edges. Treat with an appropriate insecticide. Monitor the situation for further signs. It may also be worth checking for bird nests, which are a common source of moth infestations. In warehouse situations, moth traps can be used. If you require moth control in Dunfermline, Glenrothes, Kirkcaldy, Cupar, Leven, St Andrews, Elie, Perth or Kinross, just contact Derek during normal working hours on 01577 862035 or email us your enquiry.